Is It Easier To Pay Off Debt In Retirement If You Move Overseas? HomeBlog BudgetingIs It Easier To Pay Off Debt In Retirement If You Move Overseas? Do you really think it is easier to pay off debt if you are living in a different country? This is a serious question that a lot of retirees are probably thinking about. We are all advised to get rid of debt before we enter retirement. When you stop working, you have to live on an income that is typically less than what you are used to. Ideally, when you reach this point in your life, you should do well even with a lower income coming from your retirement fund or your Social Security benefits. After all, your child or children should already be financially independent and living on their own. You only have to financially take care of your needs and that of your partner or spouse. While that is the ideal scenario, we all know that a lot of retirees are not as financially well off as they would like to be. This is thanks to the presence of debt. 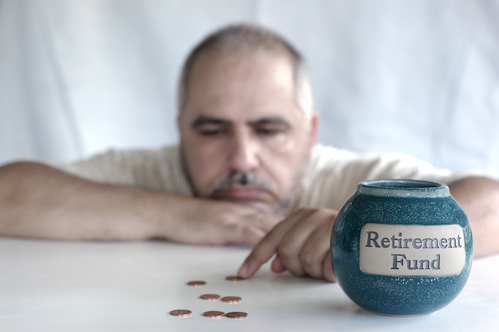 According to The 2015 Retirement Confidence Survey done by the Employee Benefit Research Institute, there is a huge chunk of retirees who are currently in debt. The data published on EBRI.org revealed that 31% of retirees have admitted to having a problem with the level of debt that they owe. Among the debts that plague retirees include mortgages, credit card debt and car loans. The truth is, a lot of pre-retirees are not able to save for their retirement. They are facing a retirement life that will only rely on Social Security benefits – which is admittedly not enough. This is thanks to the rising cost of living, expensive health care and the amount of debt that some retirees are facing. If there were unable to pay off debt while they were working, how can you expect them to pay it now that they no longer have a monthly income? It is possible to live a good retirement life for less so you can continue to pay off your credit obligations. One of your option is to relocate to a place that will allow you to have a stronger financial position to give yourself the budget to pay off what you owe your creditors. Take note that you will make this move not because you want to escape what you owe. The question is, how can moving to a different country help you pay off debt? According to an infographic published on TransferWire.com, one out of three Americans are ready to move abroad. This survey revealed that 33% of those who want to move is doing so for financial reasons – specifically a lower cost of living. If you are retired and you want to afford paying all your debts, moving to a country with a lower cost of living might just be the answer that you are looking for. Here are the specific reasons why being an expat will allow you to pay off your debt. When you are moving to a new country to help you pay off your credit obligations, you need to make sure that you will enjoy a lower cost of living there. If not, it will defeat the purpose of moving abroad. Unless you have an opportunity to earn more while in retirement, you need to take this into careful consideration. Having said that, the low cost of living in a new country will help you make way for your debt payments. You may not have to make a lot of sacrifices when it comes to your standard of living and still have a lot of room left in your budget to pay your dues. You can set up a lifestyle where your spending is controlled. The great thing about living in a different country is you can start anew. If you had bad financial habits that landed you in debt, you do not have to deal with that when you move to a new country. Sometimes, changing your environment can help bring about a drastic change in your life. If you moved to Ecuador, for instance, you will most likely adapt to the lifestyle of the people here. The local establishments usually prefer to transact in cash instead of credit. If you move to this country, you will most likely adapt that payment method. Paying in cash will allow you to control what you spend and thus help you make better choices about your money. Easier to live a frugal life. Since you are more controlled with your spending, you will most likely be able to adapt a frugal lifestyle. Let us stick to the country of Ecuador in giving examples. The land in this country is quite rich that you can probably grow your own produce in your very own garden. That would help slice your food costs significantly. The prices of meat and produce by itself is already cheap. If you can grow your own, that would help you allot more budget into your debt payments. This is only one way that frugality can help you manage your money to pay off debt. In Ecuador, it is also more common for folks to walk or bike going to their destination. That can help remove the cost of transportation in your budget. That means more money for your debts. No pressure to keep up with the Joneses. Sometimes, the downfall of people with debt are brought about by our need to look good in front of our peers. It seems like we want to prove that we are successful by trying to look affluent – even if we know that we cannot afford it. Well moving to a new country can help eliminate this notion. You do not have to prove anything to your new neighbors because they do not know you yet. If you were known to be extravagant before, you can simply build a reputation of being more frugal in the community that you belong to right now. As we said, you can begin with a clean slate and build better financial habits now. These are only some of the reasons why moving to a new country can help you pay off debt – or at least put you in a better financial position to be able to afford your credit dues. Of course, if you do not want to move to a new country, your option is to live a working retirement. Most people like the idea of moving abroad, not just for the financial benefit, but also for the adventure. While it may sound exciting, you need to know that it does entail some work on your part. You have to understand that this will bring about major changes in your life. If you think that you are not ready for that, you have to reconsider other options that will help you pay off debt while in retirement. Here are a couple of facts that you need to know about moving abroad. You need cash – sometimes, a lot of it. This may be a bit difficult for someone you has a lot of debts. There are many reasons why you need cash. Some countries require you to have a certain amount of show money before they will let you stay for a long time. For instance, in Colombia, you need to invest at least $30,000 before you can be given a residency visa. Not only that, some countries prefer that you use cash in making purchases rather than credit. In fact, in Ecuador, it is the common to buy a house in cash. It is difficult to borrow a mortgage here. If you think about it, this practice may do you good because spending in cash can increase your chances of being a smart spender. It will cost you to make the actual move. Before you can decide on what country to move into, you need to visit it first. Even the most extensive research is not enough. You need to physically explore the place you are considering to move into. Once you have decided on a place to live in, you need to process your documents in applying for a visa. This will also cost you. Not to mention the cost of the actual move. The more items you will be bringing with you, the more you need to spend. You still need to pay your taxes. According to the AmericansAbroad.org, any American citizen is required to pay their taxes – especially if they are earning more than $9,000. You may argue that you are in a different country that and you are not really enjoying any benefits from the government while residing abroad. That is not true. Paying your taxes will help you enjoy the treaties that US has on these foreign countries. If you choose a country that the US is friendly with, you may be able to enjoy a lower tax rate. Take note that all of these may not be applicable to certain countries. You have to choose the right country that will not only help you pay off debt, but will also suit your personality. Try not to make the mistake of focusing too much on countries that has the cheapest rates but have questionable safety issues for expats. If you want tips on how to retire abroad, here is a video from International Living that features a couple that has lived in different expat communities in four countries.